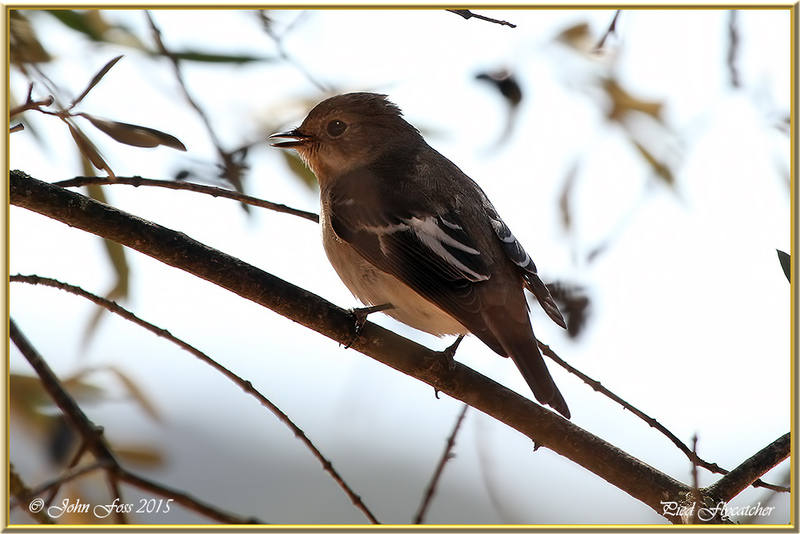 Pied Flycatcher - A summer visitor wintering in Africa. Adult breeding plumage is much darker than seen here. They feed on flying insects and caterpillars seeds and berries. 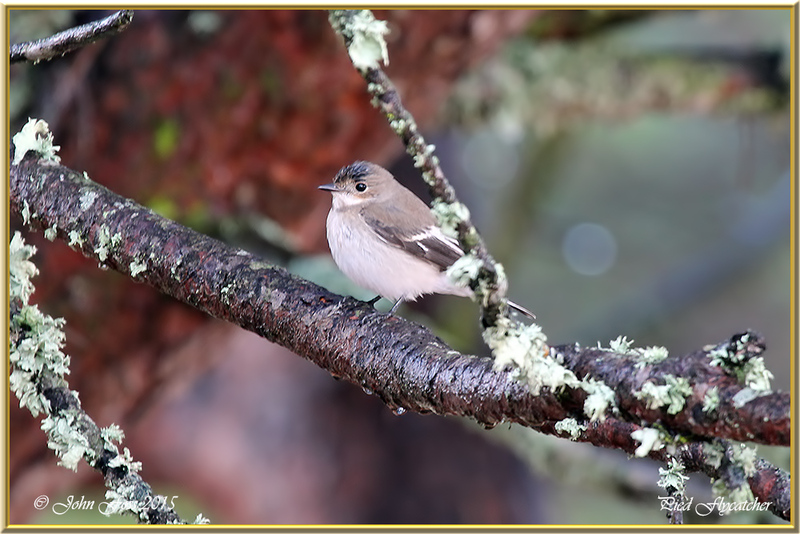 They arrive in Britain in April around oak trees mainly around the western areas. Very rare in Ireland mainly seen there on passing. 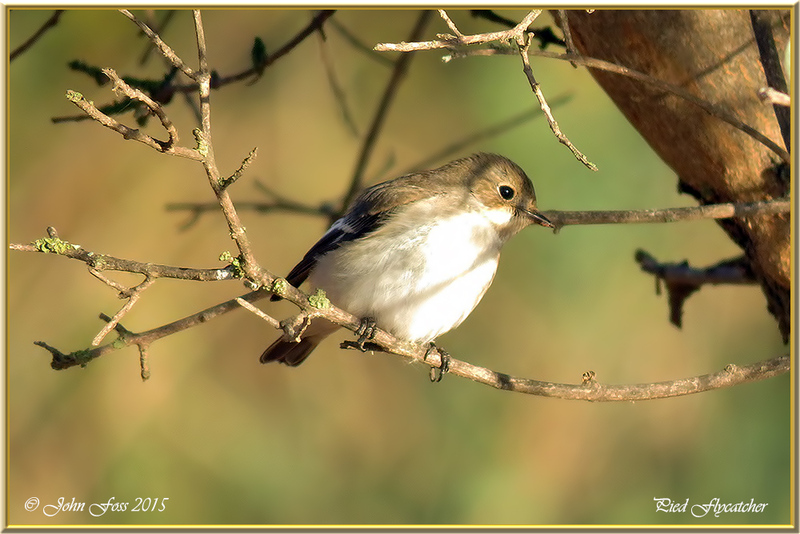 I came across these birds in the Algarve among olive trees in the Vilamoura reedbeds in Portugal.